Share the fun that your girl Frenchie is having by pairing up her pink coral collar with the pink coral leash. It is also made of the same soft and smooth vegan-leather material that looks and feels like real leather but doesn’t cost that much. It is a joy to hold and even if your little poochie tugs as she rushes through crowd of people or fellow dogs, your hand won’t scream in pain. 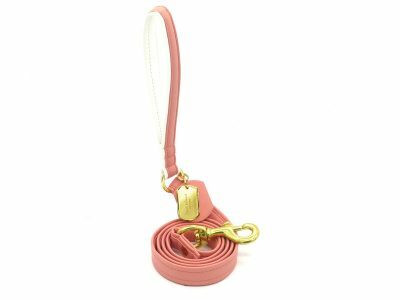 Similar to the collar, it also has a white stripe on the edge of the handle for that matching appeal while the rest of the leash comes in the solid coral pink leather. Carefully chosen brass hardware are used for the leash not only for aesthetic appeal but for durability too. 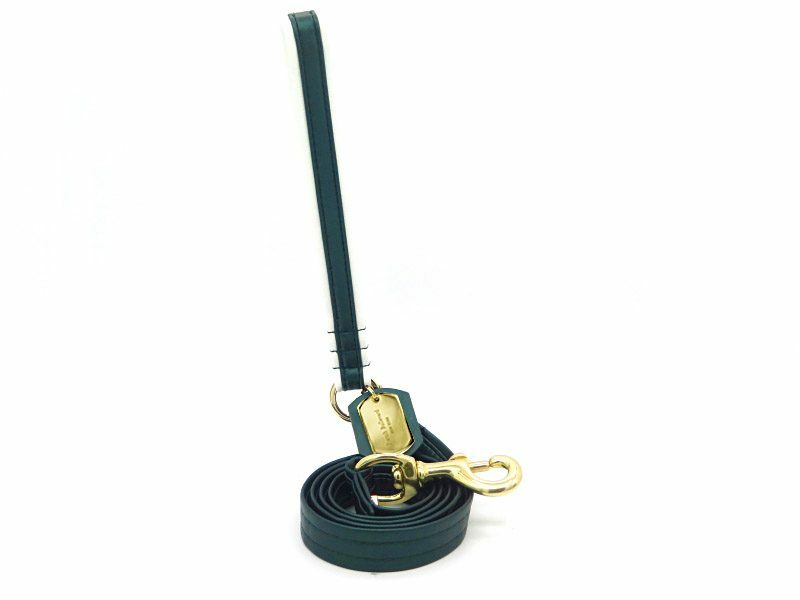 The vegan leather dog leash, like the collar, is made from patented, cruelty-free leather upholstery. A nonwoven, nontoxic blend of vegan materials that contains no animal products or by-products is safe for you, your dog, and the environment. The production of the leather both the collars and leashes results in very little emission so you can feel good about the products you’re buying, knowing they aren’t harming the environment. 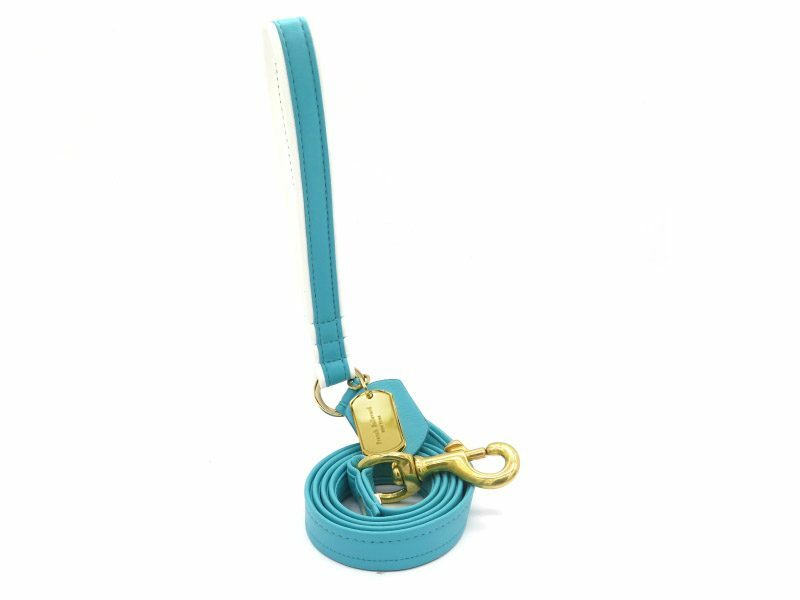 These vegan leather leashes don’t include vinyl, a plastic ingredient known to release extremely harmful dioxins into the air, both polluting the earth and creating a health hazard. Many studies have highlighted the dangerous effects of dioxins, and we hope to combat the rise of this harmful substance by using a process of production that doesn’t add to the problem. From the plant to your hand, these vegan leather dog leashes are perfectly safe, stylish, and comfortable. The Le Sport Chic dog leash features the same beautiful luster and sheen that the collars have. That makes these indistinguishable from authentic leather! You’re saving the planet while reaping all the benefits of a leash that looks and feels just as sleek and high-quality as real leather. The leash holds up on rainy, damp days with no issues thanks to the waterproof leather. It is also stink-, mold-, and fade-proof which means you can take a load off when it comes time to clean. This leash will handle the bright sunshine or an overcast winter day without showing wear, meaning your pup will be styling and profiling even after constant wear. 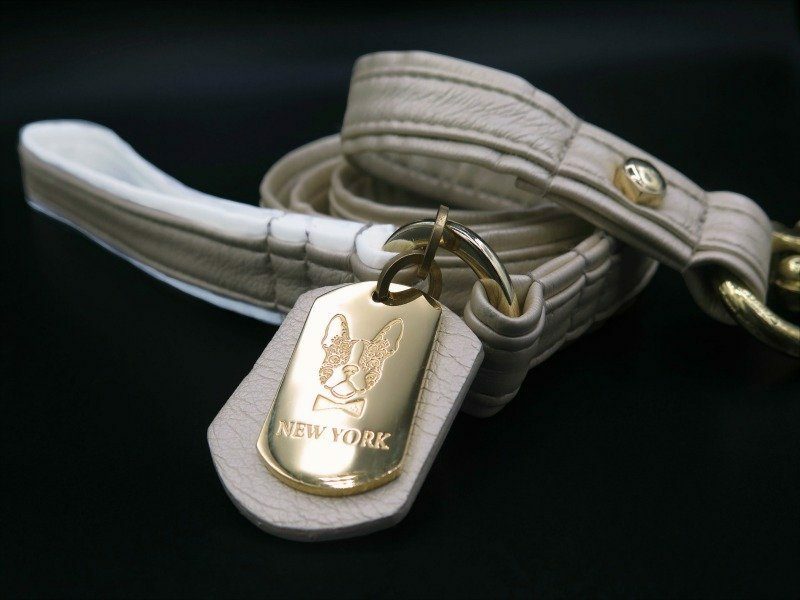 The leashes contain no flame retardant materials or conflict minerals, and the manufacturing process includes 99 percent recycled materials, making it compliant with all international standards. You can rest assured you’re making a good choice for both your dog and the environment.